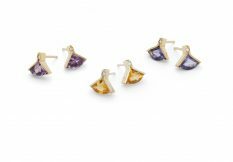 With a subtle Art Deco flavour and clean, geometric lines these 18ct yellow gold studs hold a fan cut amethyst accented with a diamond. 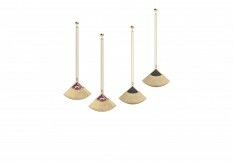 Suspended from a simple ball stud these neat drops catch the light with every movement and are endlessly versatile. 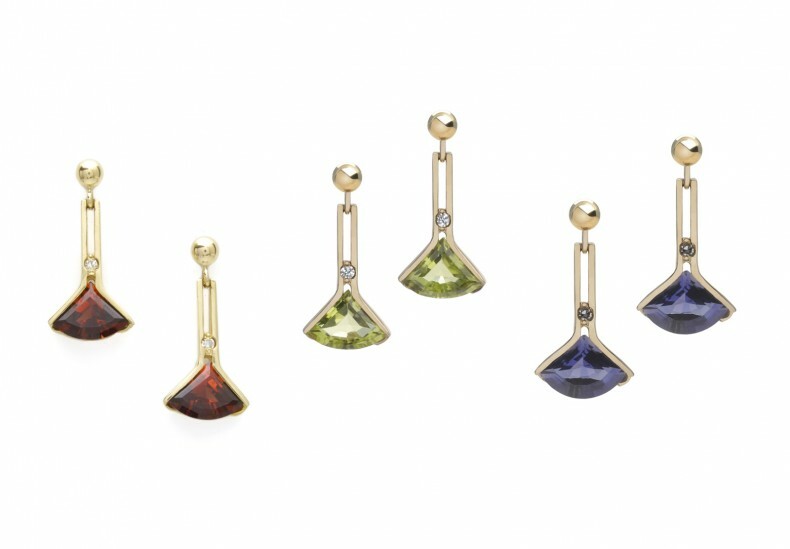 Shown here: 18ct yellow gold and diamond with garnet (left), peridot (centre) and iolite (right). 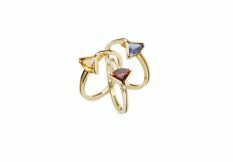 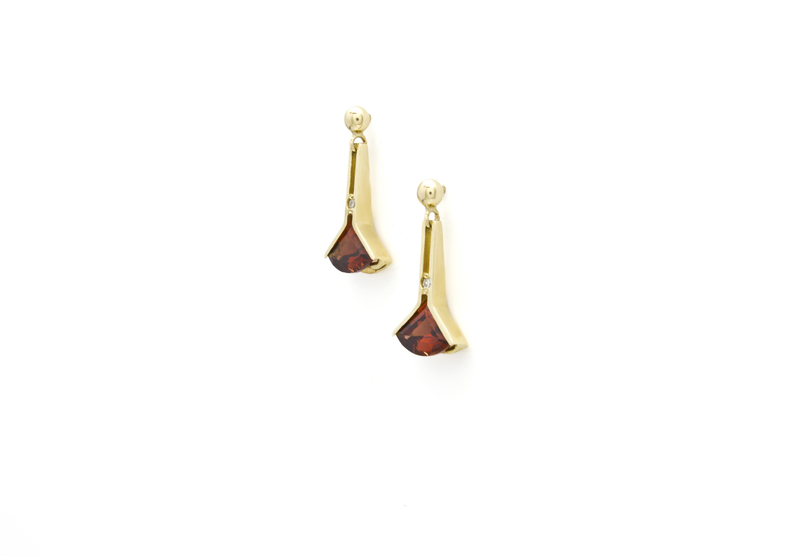 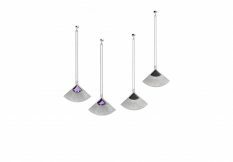 Available in: White, yellow or red gold, platinum or palladium with aquamarine, peridot, iolite, blue topaz, onyx, amethyst, rhodalite garnet or citrine.